Now a day’s video marketing has become a major platform to promote the products or services or brand. The success or failure of that company depends in the hands of the whole team of video marketing. Then how to build such a strong team that never bounce back. 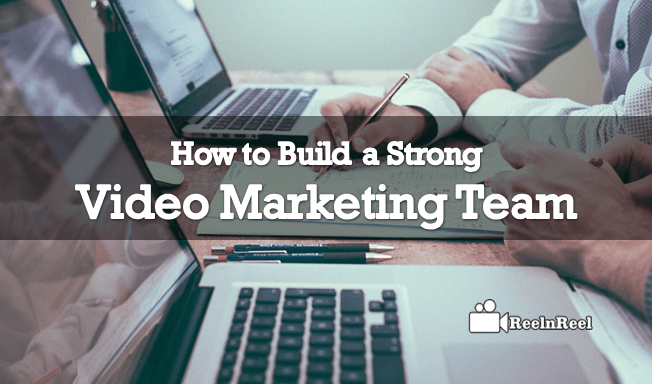 Don’t need to struggle for that here are some strategies to form the strong video marketing team. Branding means how the clients will figure out about your company by considering the services, products, tools, response to clients and the fulfillment of customer requirements. So when you have decided to build the strong pillar of a brand that shakes the entire marketing world just discuss all the mentioned branding requirements to your team members. Make them be as masters in all aspects of branding. Here you need to explain the mission- vision of the company that means how you are running the company now and what are the amendments you are going to take to attain the vision. The team members should treat these words seriously as it is their lifetime target. Initially, when you have started the company you might have some goals to reach. But when you overcome those with good reputation then the real target of unexpected and hard goals will approach your mind. Then you should share those with the team by revealing the tactics to claim those. When you want to have the more powerful team then choose the concept of conducting interviews for the candidates. Due to this, the aspirants with higher and required capabilities will be gathered. When you have done this then it’s enough to give little push-up for them. After taking interview then it’s better to go for partitioning the candidates by choosing a particular role. This could be beneficial as they have knowledge of what they do and easy for them to complete the assigned task. To establish the strong video marketing team to grow up in the field of online video marketing then you should follow the above-mentioned strategies. If you are at the startup stage of video marketing then immediately focus on this article that not to make any excuses later on.